Drones are undoubtedly a ground-breaking invention of the modern times. They are being used for numerous applications in various fields. But the one application that is gaining huge popularity nowadays is FPV racing. FPV or First-Person-View is attracting hundreds of pilots with its unique and newfangled approach. This is simply a race where the pilot can see live footage through the camera integrated on their drone. A special goggle with the in-built screen is worn by FPV racers where the live footage is transmitted. As the name suggests, First Person View gives the user a feeling that he is up in the air and flying his drone first-hand. This is one of the most appealing factors about this game for both the pilots and the spectators. An amazing race course is designed with several obstacles to make the drone FPV racing even more exciting and thrilling. A group of FPV racers comes together with their drones and state-of-the-art goggles to combat directly. The game enables them to fly up to 70 mph in places that are abandoned and isolated. However, in order to keep flying at the highest speed, it is absolutely necessary to use a high-end FPV battery in the drone. What are the benefits of playing drone FPV for the pilots? The foremost benefit of playing drone FPV is the chance to get to fly. Most of the pilots are simply attracted to the game because it provides a great experience of flying drones. It also offers a podium where they can encourage their DIY skills of building their own equipment. They can buy simple parts of the drone separately according to their prerequisites. Using these gears, they can fabricate their own FPV drone and participate in the races. If you have the knowledge and skill to build such innovative machines and fix the upcoming errors, you can venture out further. The game is not limited to flying your self-built machine but is also bringing financial benefits to the players. There are various races being arranged for the FPV racers where they can take part. There is a grand winning prize for the winner too. One such example is the first drone race 'World Drone Prix' held in Dubai where a 15-year-old boy won $250,000. What are the benefits for the spectators of the race? 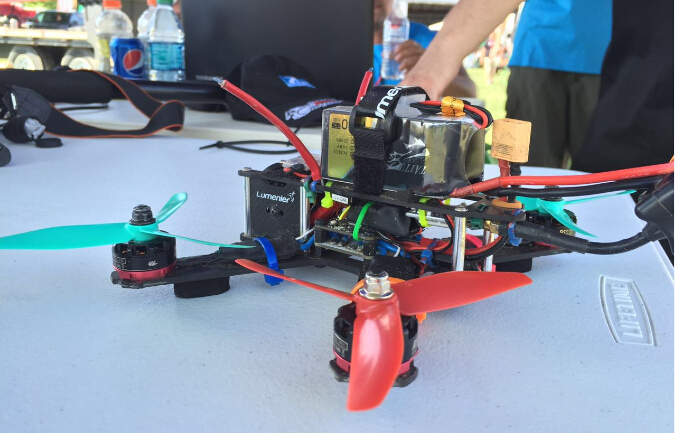 For benefitting the spectators of the FPV racing, there are still attempts being made. The organizers are making every possible effort to bring thousands of by-standers to the stadium. However, the actual race is not that exciting to watch as it would be to see the live footages from a drone camera. Thus, efforts are in progress to give the race a more reality TV like effect. With the ever-growing popularity of drone racing, it will not be wrong to expect a bright future in this sport. There are talented people who are making these machines themselves and are eager to participate in the races as well. We will have to wait and see what other benefits are possibly relevant to these FPV races in near future.